People used to like ESPN. As recently as 10 years ago, sports fans were grateful for the existence of a 24/7 outlet where they could tune in to find a familiar face yelling about Brett Favre. But the internet—and ESPN’s consistently square reactions to it—has eroded that good will, offering space for smarter sports analysis and for an airing of grievances against the network. While mentioning ESPN once summoned images of Monday Night Football and the charismatic stars of SportsCenter, it’s now equally likely to evoke the company’s coziness with Roger Goodell or its mishandling of Jemele Hill and Bill Simmons. Origins: ESPN, the new season of James Andrew Miller’s podcast devoted to the histories of entertainment institutions, is interested in both sides of this coin: the four-decade durability of the sports empire and the controversies that have made ESPN look increasingly fallible over the last five years. This is familiar territory for Miller, who co-authored the sprawling book ESPN: Those Guys Have All The Fun with Tom Shales, as well as oral histories of Saturday Night Live and the Creative Artists Agency. Miller used Origins’ first season to delightfully rehash the 17-years-and-counting of Curb Your Enthusiasm, using the same balance of interviews and contextual narration he does in the new season. This style is holistic, sometimes impressively, other times excessively. When Miller published Those Guys Have All The Fun in 2011, writing a 700-page book that assumed all of its readers would hold long-standing admiration for ESPN was reasonable. Seven years later, with anti-ESPN sentiment the norm on Twitter, Miller must also cover the crumbling of ESPN’s reputation. He doesn’t, however, give up on the main lessons from his book, and dedicates half of this season’s episodes to Pardon The Interruption, College GameDay, and other ESPN successes. Still, the grander story inside Origins: ESPN is the company’s mishandling of the digital age. The last decade has made obvious ESPN’s intolerance for criticism of the network itself or its corporate partners. And in turn, ESPN has unintentionally become a transparent company. We know now that the panic button gets pushed as soon as an ESPN personality takes issue with the NFL, and that ESPN plans to go down with the NFL ship. The first and best episode of the new season investigates the scope of ESPN’s social media shortcomings, a relationship Miller dubs “a troubled marriage.” All of ESPN’s loudest appear, from Chris Berman to Colin Cowherd to Simmons, to decry ESPN’s backwards policies. But the backbone of the episode is former ESPN president John Skipper, who took over in 2012 and resigned from the company in December due to substance abuse reasons, midway through Origins’ run. As ESPN’s own Jalen Rose reminds us, you’ve got to the give the people what they want, and what they want are the details of Simmons’ ESPN departure. The beef between Simmons and Skipper has grown to mammoth proportions. For Simmons fans like myself, Skipper is a mortal enemy. He’s the man who shuttered Grantland, the man who beckons to Roger Goodell’s every wish, the man who refused to adequately defend Jemele Hill against Trump. The Skipper we get to know on Origins, though, is undeniably charming. He has a bouncy southern accent and an ease with his words that inspires trustworthiness — even when he’s offering obvious misdirects, like his claim that taking credit is antithetical to ESPN’s culture. Skipper sounds like he’s grinning when he speaks, which almost makes you forget that he’s the kind of corporate executive who punishes his employees for saying unkind things about the NFL’s evils. Miller describes Skipper and Simmons’ relationship as “Shakespearean,” a term people use when they mean pride is at stake. Those stakes are set in Origins’ first episode, with passing references to Simmons’ suspensions and eventual departure, and ratcheted up in the series’ second great episode, which chronicles ESPN’s artistic nadir, the 30 for 30 documentary series Simmons co-created. The 30 for 30 epic follows a clearer narrative than the rest of ESPN’s recent history: an unlikely idea becomes a phenomenon, keeps evolving, then achieves the unimaginable when ESPN Films’ OJ Simpson: Made in America wins an Oscar — all while the enigmatic figure who championed the idea goes through a public breakup with the company. Simmons helped shepherd Ezra Edelman’s documentary before leaving ESPN, and as he readily admits to Miller, his omission from the movie’s credits bother him. The episode’s tension comes from that fight over acknowledgement, the fact that Simmons believes he brought something indelible into the world despite constant roadblocks Skipper and the network set up for him. Simmons’ legacy at ESPN is hefty. It certainly wasn’t inevitable that ESPN would attract the best arts writing on the internet (Grantland) or make one of the century’s great documentaries (Made in America). Those two feats, and the recent high-brow reputation of the ESPN brand, have a whole lot to do with Simmons’ ambition. He is the best example of a personality getting too big for ESPN, a figure who was more prepared for the rise of podcasts, online journalism, and short-form video content than the company itself. Simmons forced ESPN forward, and his bitter end explains a lot about the network’s slow crawl into the modern internet. ESPN’s positions make a lot of sense, of course. The combined force of every network personality currently under contract doesn’t mean half as much to ESPN as its contract with the NFL. The larger problem here is not whether they can withstand the departure of Simmons or the silencing of Hill (they can), but the softening of ESPN’s singular gravitas. 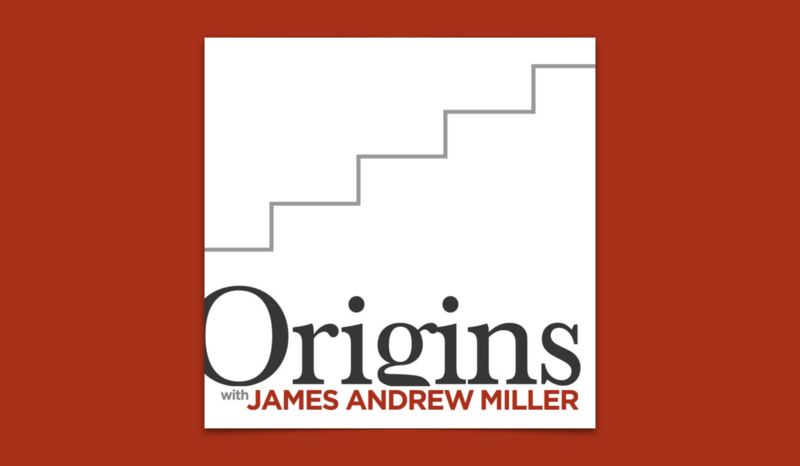 In its first two seasons, Origins has managed to build oral histories that don’t end but instead pause in the present moment. Miller tries to understand how entertainment brands stay popular from era to era, but he doesn’t speculate about their futures. He’s careful not to overstate ESPN’s failings or mention the possibility that five years from now we’ll all be watching sports exclusively on Amazon and Facebook. Rather, Miller wants to convince us that the bonds between ‘90s kids and Stuart Scott, between people who run on the treadmill after work and the PTI guys, between content-starved sports fans in 1979 and Chris Berman, have power. And they did — just as I can attest to feeling an unrealistic closeness toward Simmons after 10 years spent reading his columns. But that romanticism is fading, and it’s unclear if Origins is catching ESPN as it begins a long tumble to the bottom or as it settles into stability in the digital age. The question Origins asks but cannot yet answer is whether the evaporation of good will felt towards ESPN can meaningfully harm a corporate giant.